All worksheets are copyright and How to Hand Letter retains all rights to these worksheets. You may in no way redistribute, recreate or resell these worksheets. This listing is for Set 1 of my hand lettering worksheets! Knowing that people use all sorts of tools, markers, pens and paintbrushes in modern calligraphy, I created multiple different sets so that you can choose which works best with the style you are going for. 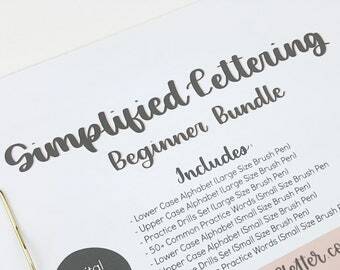 Set 1 was created specifically with the Tombow Dual Tip Brush Pen and a Pentel Aquash Waterbrush or Size 1 Round Paintbrush (for watercolor lettering) in mind! However, you can use any regular sized brush pen. If you want to see these worksheets in action, I am using them in this video: https://www.youtube.com/watch?v=F1Eguebiq6M&t=24s (You can find them at about 8:30 min in). Are you ready to take your handlettering to the next level? These practice worksheets include the entire alphabet of lower case letters done in a beautiful modern calligraphy style. The brush lettering pack is the perfect size for your basic brush pen (like a Tombow dual tip brush pen - or store brand! Your choice!) or a watercolor marker to practice your watercolor lettering. On certain letters I have provided an alternative style when the original letter seems a bit loopy to help you with those words that just get too crowded no matter what you do! You will also receive a page for drills, which are perfect for the beginner or to sharpen your lettering skills. Each page gives you an example letter, breaks apart the letter into easy to follow pieces and then gives you multiple lines of faded letters for tracing. 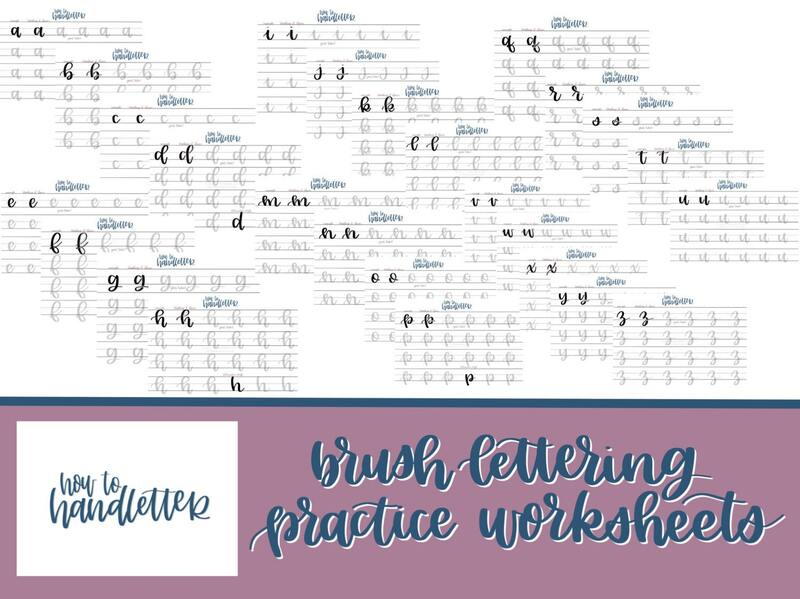 Because this is a digital download, you may print off over and over so that you may continue on with your lettering practice for hours on end. However, this is for personal use only and to be used by the purchaser. (AKA, don't print these out and pass them to your friends because that would not be cool). These are sized to be printed on your regular printer sized paper (A4). You may have to turn off the border on your printer, depending on your printers settings. I recommend testing out 1 page before printing them all to ensure your settings are correct. Worksheets will come as a JPEG file and can also be used on your Ipad Pro with the Apple Pencil & Procreate App. Once you import each file into Procreate, you can add a layer over the top to trace your letters. The canvas size is 2732x2048 pixels and I'm using the Rad & Happy brush pen sized at 27.8. 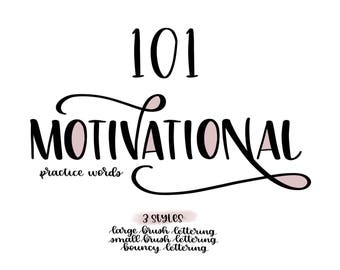 (See my youtube channel https://www.youtube.com/howtohandletter for tutorials and find links for my favorite free procreate brushes here: http://bit.ly/2lnbjVd). Files will come in a zipped folder as 27 separate Jpeg files (26 - 1 of each letter + the info page) and a PDF version of the letters/cover page. You will also receive a separate file of lettering drills. To unzip the folder, right-click on the folder and click "Extract All". Due to the instant-download nature of these files, there will be no returns or refunds on purchases made. Have more questions about handlettering? Check out my Youtube channel at http://youtube.com/howtohandletter. All products are digital downloads. No refunds on digital products. Cannot be combined with any other offers. These practice sheets are so useful. Thanks!